Vegan athlete Lisa Gawthorne has just returned back from racing in the Cross Duathlon European Championships in Ibiza - where she scored an impressive fifth in her age group and 20th female overall with a time of 2.18.02. The run-bike-run race was set in the picturesque yet undulating coastal resort of San Miguel on the northeast side of the island. The first run was 6.3km across cliff edges, coastal drops and sandy beachfront settings, followed by 18km on the bike mainly in the mountainside forest featuring an impressive 25 percent incline climb which had to be completed on the route three times. The final run was 4.2km in the same setting as the first run. Usually a candidate for the sprint duathlon, (Gawthorne finished 12th in the World Championships for her age group in Denmark in July this year), she chose to compete in the cross event this year as a personal challenge but also to utilize the mountain bike roots that started her love for cycling. "The course was amazing but totally brutal, it was by far the hardest race I have ever been involved in and with that came the one of the biggest sense of achievements when I crossed the finish line," she told Great Vegan Athletes. 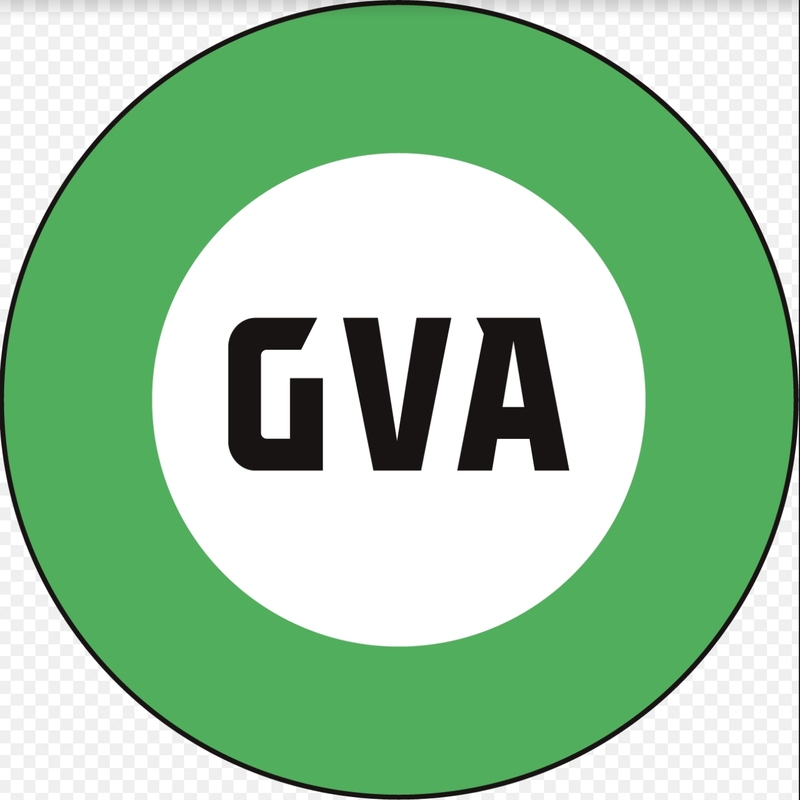 Gawthorne took the opportunity to spread the vegan message by displaying PETA, Vegan Society, and Veganuary logos on her GB kit along with a badge for Bravura Foods - the veggie/vegan business she co-owns with long-term business partner Karl Morris. "I love spreading the positive message, and I do get a lot of vegan chants and support on the way round," she said. "It has also been nice to talk to many of the athletes about incorporating plant-based eating into their lifestyle for performance gains. I am a big advocate of this." 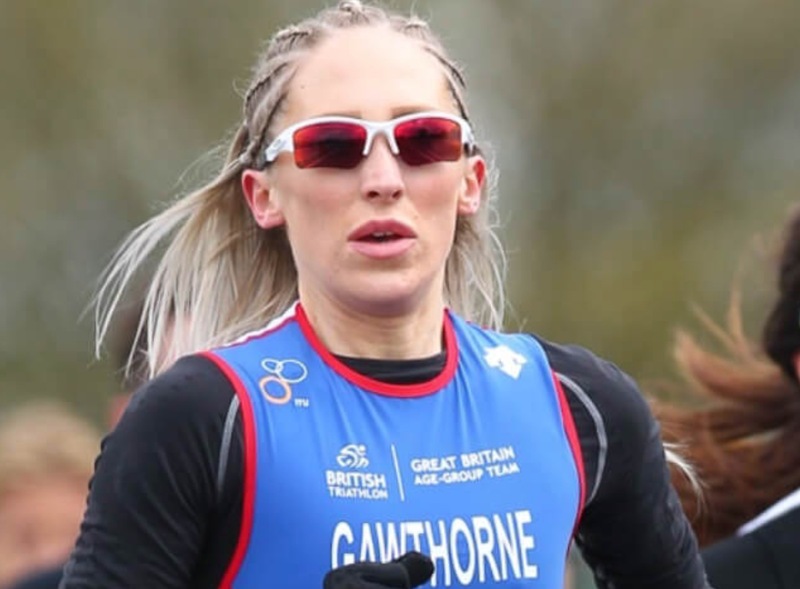 Speaking about her nutrition leading up to the event, Gawthorne said: "In the four weeks before the race, I upped my carbohydrate intake by 10-15 percent, to sit at about 55 percent, and also ensured protein intake stayed somewhere near the 100g mark daily. "Brown rice, oats, sweet potato and brown pasta featured in the week leading up to the competition as my carbohydrate go-to options and protein was a mix of tofu, seitan, protein powders, and nuts. "I also kept a close eye on hydration (an area I often forget about) to ensure peak performance. The day before the race I chose to eat muesli and strawberries for breakfast, seitan slices and grilled vegetables for lunch, and opted for my favorite penne pasta with tomato and basil with some bread for good measure for dinner. Snacks during the day included nuts, and rice cakes." The athlete turned vegan aged 21, having dropped meat as a six-year-old child. "I am a huge animal lover and that was originally my reason for going veggie at the young age of six," she said. "I remember reading a leaflet that came through the door about farming and battery farming and even at that young age, I made the connection that meat was actually of animal origin and felt it was wrong to carry on eating any meat for that reason." Since then she's authored a book on fitness, Gone In 60 Minutes while bringing vegan confectionary to the world through Bravura foods. She has recently won a local 5k race and has more outings planned. "Over the coming weeks I have a few local running races planned and the all-important Brighton 10k with the Vegan Runners Team is something I am looking forward to being involved in," she revealed. "I have also qualified for next year's World Duathlon Championships in Spain (April) and the European Championships in Romania (July) so they will be too big areas of focus for me next year. "Training for those competitions will start in the New Year."